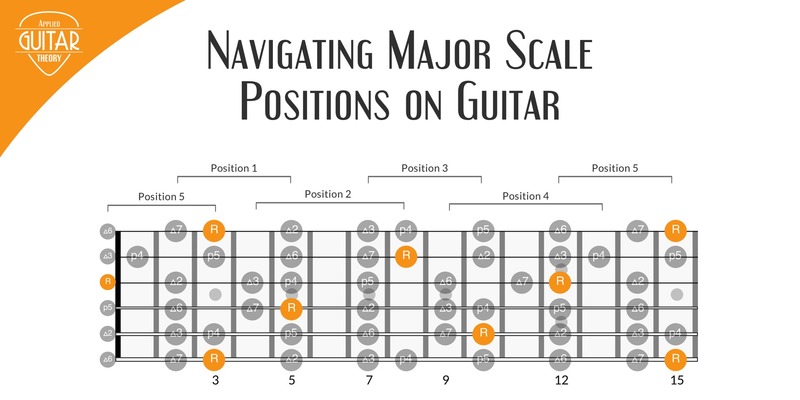 In the lesson Navigating Major Scale Positions on Guitar by Using the Root Note, we learned how to use the root note of the major scale as an anchor point to move between scale positions on the guitar. In this lesson, we take a look at the root note patterns of the minor scale positions. Like the major scale, the minor scale will have at least two occurrences of the root note. In fact, you’ll notice that the root note patterns of the minor scale are the same in structure. The only difference is the position to which they apply. The diagrams below show the relation between the root patterns and minor scale positions. Again, just like the major scale patterns, these minor scale patterns are based on intervals so they’re the same across all minor keys. The root pattern will be the same for a given position regardless of the minor key. Each root position connects two positions of the minor scale. 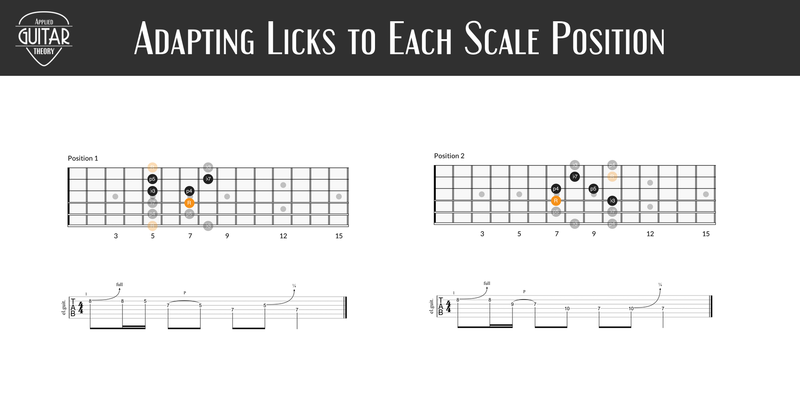 We can use the root across all six strings as another way to visualize the connected scale positions. The root on the 1st string connects positions 5 and 1. The root on the 2nd string connects positions 2 and 3. When the root is on the 3rd string, positions 4 and 5 are connected. With the root on the 4th string, positions 1 and 2 are connected. Since the notes on the 6th string are identical to the 1st string, the same positions are connected. The root on the 6th string connects positions 5 and 1. 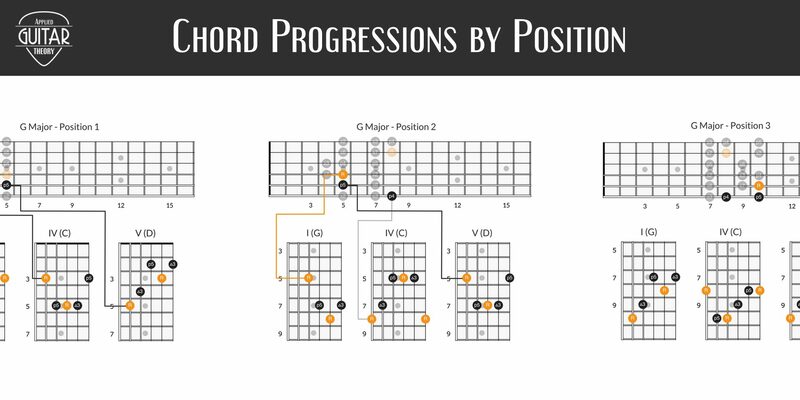 You can use the same exercises from the major scale root positions lesson to develop your ability to visualize the patterns across the entire fretboard. The exercises are designed to first help you identify positions connected by the same root note and then identify positions anywhere on the fretboard using only the root note. You can expand on these exercises anyway you like. Root notes form memorable patterns across the entire fretboard. These root note patterns can be used as anchor points to help visualize and move between scale positions. Once you’re able to identify and move freely between the positions, you can begin building licks to connect the different positions.